Since 2013, Bhante’s literary executors, the trustees of Windhorse Publications, and myself as the director of Windhorse Publications, have been discussing the possibility of publishing Bhante’s complete works. This idea has been around for a number of years, and ground work had already been done; in particular, in 2011 Bhante and Sagaraghosa grouped all the known works into one list of volumes. However a number of conditions seem to have come together in the last year to make this the right time to start producing the definitive collection. As the fundraising for the Complete Works has already started – and as the major part of a gift to Bhante on his ninetieth birthday in August – I thought that this is also the right time to communicate some of the thinking behind the project. What has been agreed for Bhante’s Complete Works project? In the next decade, we will produce all of Bhante’s published writing, as a teaching and practice resource for the Triratna Community, as a body of material for study and research for the wider Buddhist and academic communities, and as a durable print and digital archive. Bhante is the founder and principle teacher of our Community and Order, and as such has a unique and highly significant place. We wish to publish his complete works – including his books, memoirs, poetry, essays, and literary criticism – as part of ensuring his legacy. Moreover we want these works to be of the highest possible quality, in both the editing and the production, and we want them to reach the largest possible audience, whilst being produced in a sustainable, durable, accessible and adaptable form. This adaptability includes their being available over many years in a changing publishing environment – for example, in digital formats and through small print runs. In case it is not obvious, from both what we are saying here and from the fundraising requests for Bhante’s ninetieth birthday, I believe that it is worth emphasising two points. Firstly, that this will be a complete works in the traditional sense: a definitive and authorised collection of all that Bhante has written in his lifetime. Secondly, it will be more than this: a complete and fully searchable digital collection, as well as being available both in both hardback and softback formats. Moreover, it is envisaged that readers will be able to purchase the volumes in ways that suit them (that is, either the whole set, or a selection), will be able to take advantage of discounts via subscriptions, and will be able to have the print and ebook editions ‘bundled’ together when they buy online. So work began on the Complete Works early in 2015, specifically with Kalyanaprabha bringing together all the existing writing, and starting to assemble digital files that will eventually be edited, annotated, indexed and proofread. Vidyadevi has devised a way of arranging the huge mass of material into coherent groupings. To date this amounts to 33 volumes, each of about the size of A Survey of Buddhism. However, this ‘working set’ is very much an approximation, and the final number of volumes in the complete set – and the size of the volumes – will be more or less than this. Having completed the initial mapping out of the complete set, Kalyanaprabha and Vidyadevi are now assembling the first volumes. Other individuals are involved of course – in the copyediting, typesetting, design and marketing – and we intend to give regular news on their work in the coming months. Once we have put together the first group of four to six volumes, the actual typesetting and printing will take place. With this number of volumes produced each year, the entire collection will be produced over five to six years. A date for the start of print-and-digital production is yet to be fixed. Touching on the principle of quality, we decided against using print-on-demand – experience has shown that this method does not produce the quality that one obtains from the more conventional, lithographic printing. In any case, print-on-demand is considerably more expensive to produce per book. At Windhorse Publications we are working with a good printer, Bell and Bain of Glasgow, and believe that with them we will be able to get both the highest quality and well as the most economical production. A question that many will ask is, ‘Why isn’t Windhorse Publications funding the project from its own capital?’ The simple answer is that we do not have it. In a typical year the printing costs alone for one group of 5 volumes would be at least £20,000, and income for works of this type only come in over quite a few years. There will be a net sales income from the collected works – over 5 – 15 years. However, the Uddiyana Trust and Windhorse Publications need the grant of £85,000 in the near future for the whole project in order for it to be truly sustainable – that is, it will have an income made up of both grant and net sales. In addition, everyone giving to the Complete Works project can be confident that it has been thoroughly costed and income projected by a number of individuals over the last two years. We believe that this grant – held in trust by the Uddiyana Trust and passed on to the editors and to Windhorse Publications – is as realistic and accurate as we possibly can arrive at. Also we need to bear in mind that other similar projects in the Buddhist publishing world are grant-funded – for example, the Pali canon translation project with Wisdom Publications (many Buddhist readers will be aware that Wisdom has a long tradition of fundraising for many of their book projects, in common with some other Buddhist publishers). 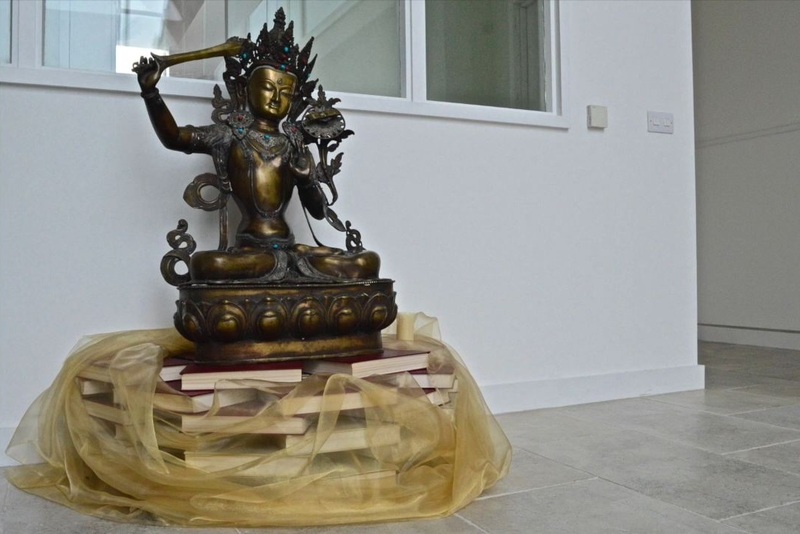 Last but not least, following the request from both Bhante’s literary executors and the trustees of Windhorse Publications, we intend to find out more about likely demand for the works, particularly from the main readers, members of our Triratna Community. This will help us to decide, for example, on the optimum numbers in each volume’s print run, on how many readers will subscribe to the whole set of volumes, and how many will ‘pick and mix’ when it comes to purchasing, as well as other issues. So we will conduct an online survey of readers probably from September to November, and intend to publish the results by the end of this year.